Feburary's hunt is Toxic Love. Instead of doing a "normal" Valentines hunt, we are going to do one with a twist. We are the depravity hunt group are we not? Let's continue with taking holidays and making them different than what they usually are. I'm not going to limit you to a VERY specific theme, but I will say this. Make it for couples, singles, whoever you want, just make it have a twist. 2. Don't hide your gift to the point of frustration. Items must be within 30 meters of your landing point or poster or have clearly marked signage to the area of your item. NO EXCEPTIONS. Although this is a hunt, we'd like the hunters to return and shop, and they can't do that if they haven't found your gift! However, it is still a hunt, so some searching is expected. 3. Please place your hunt poster in a prominent location at your store when you get it. Hunt items will be issued soon! Make sure the item is set for sale at $0L Contents. Do not rename, or recolor your hunt prim. Please have the item out and ready by the walkthrough. 4. 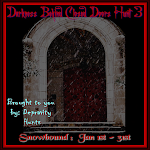 We will do a walkthrough on Jan 30th. Please have your items out and set for sale at 0L/Contents. If you don't have your gift ready, it's okay. We're checking landmarks. But please send an IM to Loreleilynn Easterwood or any other staff member when you have your item ready so we can check you off the list. 7. You MUST create a male AND female gift OR an item for couples. NO Unisex items. Men are all too often left out.